Vendors, researchers, and consultants alike are escalating concerns over the latest cyber-attacks, vulnerabilities, and exploits. However, while all insight has been valuable, the art of information security management is often more about managing time and resources than technology. This reality holds true for Internet security threat reports. 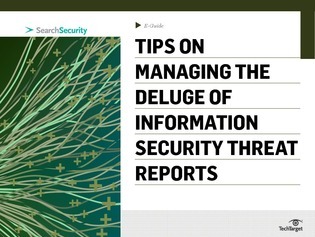 In this expert e-guide, learn how to take advantage of threat report data without being overwhelmed by it, and uncover the real impact of insider security threats. Click now for these exclusive tips!